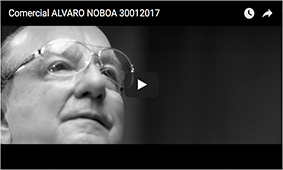 PRESS RELEASE Alvaro Noboa and Anthony Shriver Kennedy working together for the integration of people with mental disabilities. PRESS RELEASE, Alvaro Noboa and Anthony Shriver Kennedy working together for the integration of people with mental disabilities. 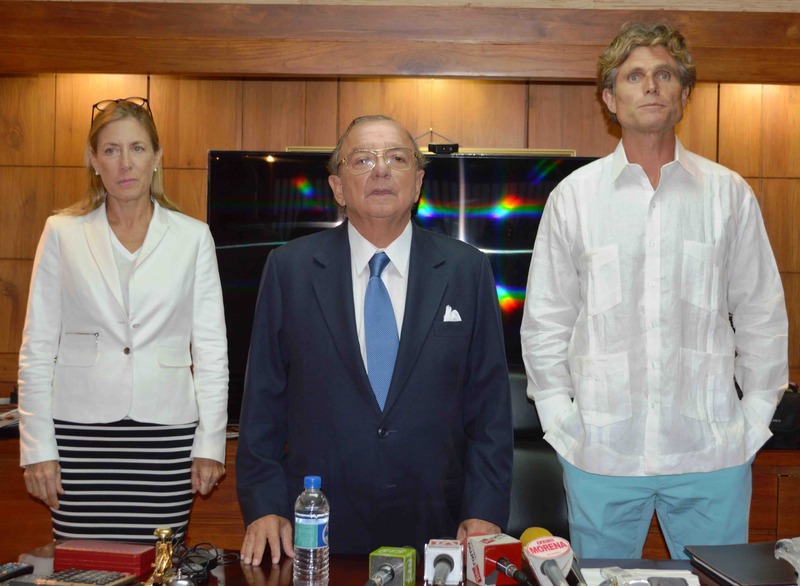 Anthony Shriver Kennedy joins Ecuadorian businessman Alvaro Noboa, in order to train individuals with mental disabilities. Foundations Crusade for a New Humanity (FCNH for its Spanish acronym) and Best Buddies International, led by the Ecuadorian businessman Alvaro Noboa and Anthony _ Shriver Kennedy respectively, came together to train a group of people so that they can develop their special abilities to be included in the Ecuadorian working life. 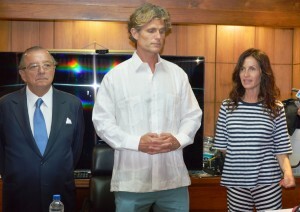 Alvaro Noboa, founder of the FCNH, and his wife Dr. Anabella Azín, hosted the press conference, which was attended by Anthony Shriver Kennedy, director of the Best Buddies International Foundation and his wife Alina Shriver, who served as an interpreter. 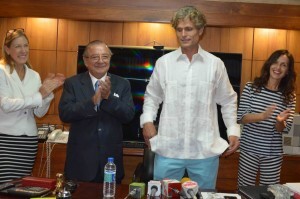 “Shriver Kennedy, has come to visit Ecuador during his international crusade for people with mental disabilities or autism. He, as the leader of the Best Buddies Foundation, which is the world’s largest foundation dedicated to support educational development and employment of people with mental disabilities, it´s for me an honor that you have chosen the Crusade for a New humanity Foundation, to support the work outlined in preparing people with mental disabilities so they can do office, computing, and the most sophisticated works, thanks to science and the great working capacity of Anthony Schriver Kennedy, who has managed to raise the working standards of these people,” said the Ecuadorian philanthropist. For his part, Anthony Shriver Kennedy said he was excited to share with the Ecuadorian foundation and be part of this social project. “Thank God we have friends like Alvaro and Annabella who have helped us and committed to the work done by the Best Buddies Foundation. (…) I think that everyone can build, especially those with intellectual disabilities and that is the spirit that is within everyone. I have seen in 50 countries, in general I have seen in Mexico that our representative Carlos Slim supports the employment program for persons with disabilities, and here in Ecuador, Anabella and Alvaro will do the same. Thanks to your support, there will be thousands of employment opportunities for people with disabilities,” he stated. Anthony said that the great bond he had with his aunt Rosemary Kennedy, who had intellectual disability, encouraged him to create his organization. He said he learned to recognize that everyone has a great gift. “I learned that she was the best swimmer in the family, and that was her great value. “Therefore, Shriver Kennedy says that the big challenge is to integrate these people in social activities and community life. Meanwhile, on the World´s day of Autism Awareness, Anabella Azin sent greetings to people with this disorder.